In addition to being extremely difficult and emotionally draining, divorce is a deeply personal process. Once you have made the difficult decision to pursue divorce, finding a divorce lawyer that you are comfortable with is an extremely important step in the divorce process. Your divorce lawyer will be the person guiding through the various steps of the divorce process and will be handling very delicate and important matters with you. It is important that you choose an attorney that you trust and are comfortable with having as an advocate. Your relationship with your divorce attorney must be open and honest, and selecting a person that you are confident you can communicate with effectively is essential to making the divorce process less difficult. When contacting potential divorce attorneys, you do not have to select the first lawyer you speak to. Generally, you can take your time in selecting the lawyer that is right for you. When you meet with prospective divorce lawyers, you should feel free to ask them any questions you may have about the divorce process and the attorney. Some important questions that you should consider asking any prospective divorce attorney are discussed below. Does your practice specialize in divorce cases, or is it more general practice? How many family law cases and divorces have you handled? Will any other members of your office be working on my case? If so, how much experience do they have in the family law and divorce area? Can I meet with them? How do you charge your clients? Is the cost associated with your time the same as time spent on my case by other staff members? Do you have an initial retainer fee? Can you explain the payment details associated with your representation? 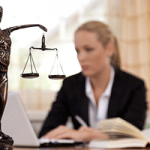 What other legal fees or costs may be associated with my case? 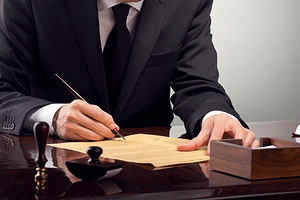 Will I need a forensic accountant, private investigator, or medical professional? What is the average amount usually associated with these costs? What is your initial opinion of my case? Do you have a strategy in mind? What about an estimate of how long my case will take to resolve? Do you have experience anticipating and dealing with the potential tax consequences of my divorce, or will I need to retain a financial professional? Are there ways for me to keep the costs of my divorce at a minimum? Will I be able to do any of the work you might otherwise charge a client for? 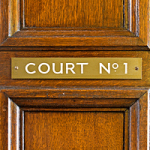 How do you anticipate a judge might rule in my case? How do I get in contact with you if there is an emergency that arises during the divorce process? Most lawyers go through the same basic training before deciding what area they wish to focus their practice on. It is important to remember that each area of law can be different and involve many intricacies that take time for an attorney to learn. While many lawyers may bill themselves as family law attorneys, there are many specialized fields of law in the family law arena. Divorce is one such field that requires experience, time, and understanding. 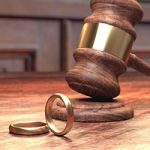 Divorce law is also frequently updated, and an effective attorney keeps abreast of new laws that may apply to cases they are handling. Make sure that you select a family law lawyer whose practice is focused on divorce. They are likely better able to guide you through the divorce process and handle any surprises that may arise during the course of your case. You should also be careful of lawyers that advertise in certain ways. For instance, some lawyers will target clients of a certain gender by pointing out inequalities in the general judicial system or in the court in which your divorce will be heard. While there may be some truth to this in very rare circumstances, this is usually a ploy to gain business. Other lawyers will boast about how they “destroy” the opposing party during proceedings, and while this may appeal to some clients it is often only a play on feverish emotions that come with divorce. It is not always the best tactic to take, especially if you are interested in keeping your costs at a minimum. There are other lawyers whose skills have earned them a reputation at being one of the best in a certain field in your area. While there is likely some truth to the breadth of the skillset of these lawyers, most cases are not decided based on who has the lawyer with the most widely known reputation. Divorce is generally a fact-based process, and no lawyer can ethically or legally distort facts pertinent to the divorce process. You may likely get the same result that these lawyers can give you at a fraction of their cost. 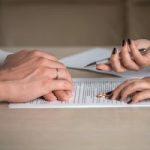 At the same time, lawyers with uncommonly low fees may not be properly equipped to handle a divorce case. As we mentioned at the beginning, divorce is a very personal process. Your lawyer should be kind, sensitive, communicate openly, and be available when you need them. Scott J. Stadler has focused his practice on Florida divorce, and can use his many years of experience to help explain the divorce process and ensure that you are comfortable with the decisions you make as a team. If you are considering divorce, or have made the difficult choice to pursue one, contact Scott J. Stadler for a consultation. Do not be afraid to ask questions like the ones listed above, and do not be afraid to expect answers. 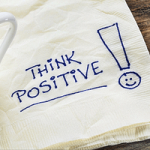 Your divorce lawyer must inspire confidence and trust so that you know that you are well-represented throughout the divorce process.